An outdated directive, which gives an unfair advantage to the private, or 'special', bus line companies above the cross country bus owners' associations, is being addressed in a bid for enhanced equality, reports Nardos Yoseph, FORTUNE STAFF WRITER. The ability of these 'special' companies to determine their departure points, destinations and prices, gave them an unfair advantage in the market. With a huge increase in the number of companies operating in this sector, moves are now being made to enable fairer competition. Sky Bus, one of the prominent transportation service providers waiting for passengers to transport. 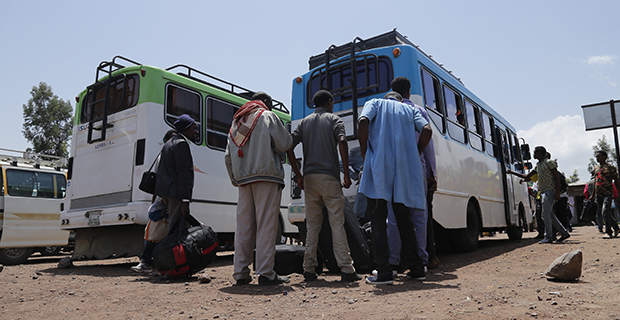 Helpers of the driver, usually called eredat, trying to load bags and different items of its customers to the Kitikit Bus which will be going to Adama via Bishoftu. The cross country bus station on Central African Republic Street, aka Atobis Tera, is always at its busiest in the morning. Passengers dragging and holding their luggage pass through the crowds looking for the plate number of their bus, while relatives standing by the door try to look for their dear ones in the sea of passengers. The critical point of departure is when the tall guards with their faded purple uniform ask for the ticket. The only thing left when the travellers leave is the high pitched sound of vendors, trying to lure in the dejected people left behind to feed on their warm samosas – a good treat after an early morning of hassle. 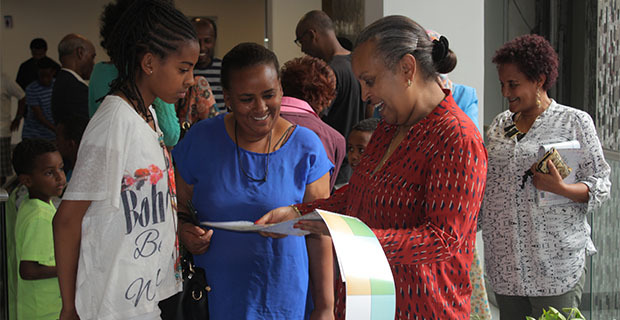 Lidya Bekele, in her mid-20’s, happens to be part of the drama on the morning of July 4, 2016. She and her family are all ready to attend her sister’s university graduation from Gondar University, 725km north of the capital. “It is a last-minute decision that got me here today,” said Lidya. She does not look at ease in the hyperactive environment, and she was scared to carry her luggage around, waiting for someone she can trust. At Atobis Tera, there are two compounds for the buses to park inside, surrounded by corrugated iron fences. The biggest of these two compounds holds at least 85 different buses, while the other handles up to 65. The buses have 63 seats, with the last tied to another and nothing for the passenger to rest his back on. The level-one buses are painted green with white stripes, the second level are blue and the level-threes are often painted yellow and red with white stripes. The buses in Atobis Tera park based on their level – the green ones first, then blue and then at the end of the line the last level of bus. The higher level has air conditioning systems on each window, hanging in a way that seems like they are about to fall on the head of the passenger. Sometimes, people who got one of the last seats hit their head when they stand. These level buses also have a television to play movies later down the road, but this usually doesn’t happen as both the TV and radio are closed when the bus is riding along bumpy roads. The other two levels treat their travellers only to radios, while the last level is the only not to have an air conditioning system. In the morning, when the passengers are on the bus, vendors shouting about their products enter the buses waving around items for the travellers to buy. The assistants of the driver eventually chase them away, telling both the travellers and the sellers that only passengers are allowed to board the bus. The buses have to pay a fee to get out of the parking lot and hit the road at the gate of the compound. Tickets are sold at the back of the bigger compound; often there are lines of people waiting until the ticket offices open after the buses that depart that day have all departed. The tickets from the Association’s office must be bought a day before the journey. There are also small ticket offices that can only hold two people, with destination names tagged at the top and the sellers shouting the destinations to the people. These offices are for travellers that want to depart the same day. 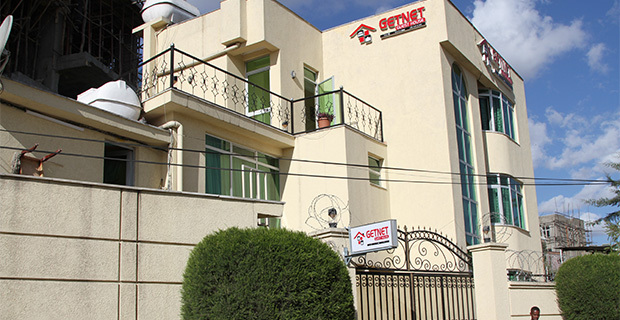 The price of the tickets for far-off destinations are around 400Br, while destinations like Bahir Dar, which is 560km away, costs 177Br. These buses used to be the ones that commanded inter-city travel for so long, until a few years back other buses of various colours began to decorate the routes. Selam Bus was the first entrant, in 1996, with its comparative price hike and enhanced comfort. These features included a chair that the traveller can push down and sleep on, improved speed and light snacks at breakfast time. If Lidya’s wishes had come true, she would have paid 230Br more than the grade one bus at Atobis Tera. The number of such companies is increasing to a point where some just refer to them as private bus lines, with an increase from just six to 86 bus line share companies in recent years. 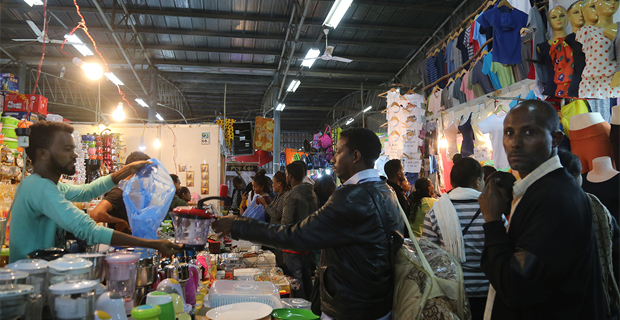 Twenty years back, the Selam Bus Line share company, established by the Tigray Development Association with close to 700 shareholders and 30 million birr in registered capital, was the first to be registered by the Federal Transport Authority with the ‘special’ tag – a name used to categorise bus line share companies. 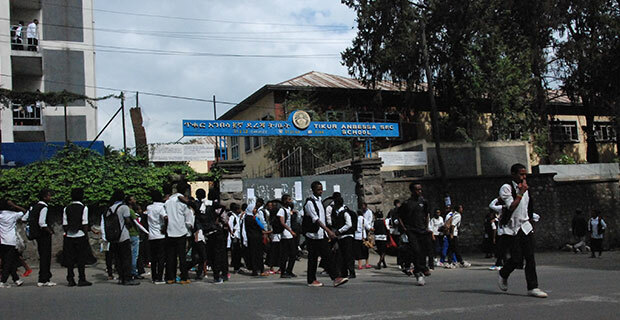 When the bus line first began operating, it had only 24 buses travelling to major cities, including Meqelle, Bahir Dar and Hawassa. The Autobis Tera bus owners’ associations cross country business first saw the service as a relief for the overwhelming transportation requirement of the public, but the outlook changed when others started to take their own piece of the pie. 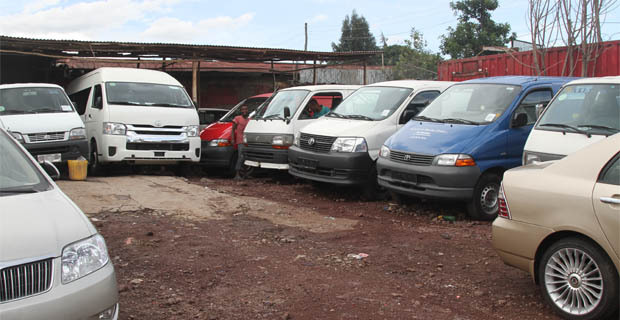 “It was fine then; there weren’t too many of them and their price wasn’t very far from ours,” said Yonas Tenbitu, one of the bus owners in the Hibret Bus owners’ association at Autobis Tera, complaining about the current bus lines storming in to the market. In March 2008, Sky Bus, another bus line share company, was inaugurated with its chunk of 60-million-birr capital and 3,400 shareholders. It launched its service with 21 luxury buses, each with 47 seats, traveling to eight major cities around the country. The bus line ditched the usual 62-seat vehicles in order to create more room for each passenger, but with a higher charge. The buses also have an air conditioning system, safety belts and televisions to watch movies, while also serving tea and soft drinks. Sky is not the only service that has entered the business over the years, the Federal Transport Authority (FTA) report of this year shows that there are now 86 share companies, up from just six. 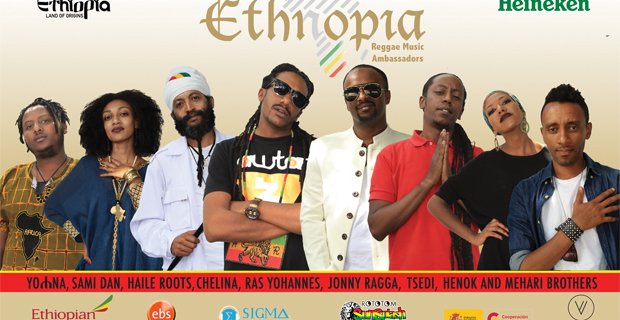 This includes those that have less than a six-month period within the business, such as Ethio Bus and Abay Bus. The special ones are free to decide for themselves from where they will depart, their destination, schedule and tariff. Yet, the 21 bus owners’ associations, with over 1,500 buses across three levels, have their destinations scheduled by the Transport Authority and can only began their journey in their renowned area near Merkato. Ticket costs are also regulated by the Authority, not to forget the social responsibility of each car having to serve the city as a taxi for two days a month, which the public share companies are free of. 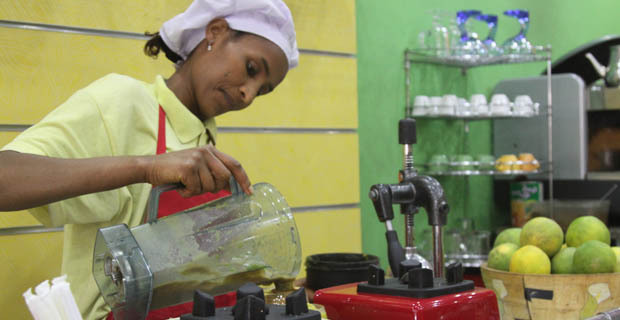 When Selam Bus first came to the market, the price lingered just a bit over the two hundred mark, with some scaling up. It was, however, according to the the Autobis Terra bus owners, not very far from their tariff. The tariff of the public cross country buses depends on their level, with a difference of 10-20Br between the three levels. Currently, there are 11 level-one, six level-two and four level-three cross country bus owners’ associations operating under the station. 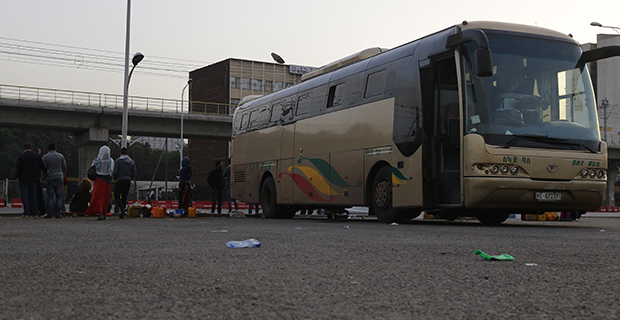 According to the Authority, the levels are set depending on the year the buses were manufactured, their comfort levels, speed and services provided for the passengers, including free breakfast snacks. The Authority argues that the share companies ticket costs increase with the services they add and the new models of buses they import. Abay Bus – a share company Bus line established by 10 shareholders, which started operations in March of this year – has nine buses worth four million birr each in addition to comfortable seats as required by the Authority for special category buses. 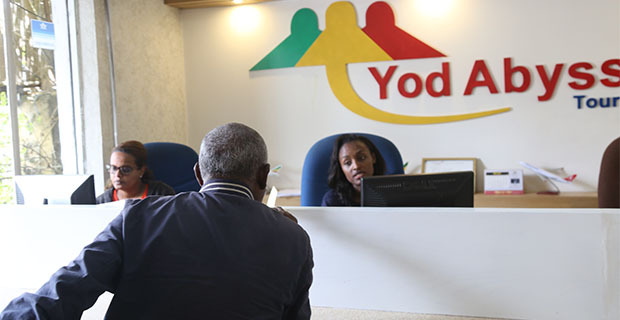 The company transporting a little over 500 passengers a month has a system in which customers can buy tickets from the Commercial Bank of Ethiopia (CBE) by forwarding the payment to the bus line account. Selam has made adjustments to get more customers each year, beginning with the addition of more buses to reach more destinations. It has increased its target cities from eight to 17, with an average 60,000 travellers each week. The bus line has also launched new services, such as its recent system of ticket purchasing by calling 7686 through Hello Cash, teaming up with Lion International Bank (LIB). 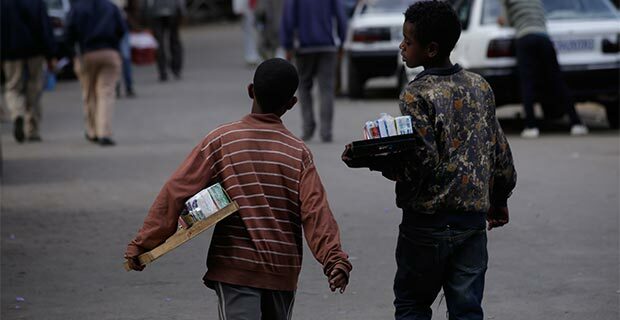 FTA Transport Directorate Director, Tesfaye Teshome, states that these bus lines categorised as special are targeted at the middle-income society. The Authority has, however, now has completed collecting the necessary data to set a tariff range on these bus lines. The limited presence of these bus lines in the past was stated by the director as the reason for the Authority allowing them to set their own tariffs and hand over other advantages, so as to motivate more investors to get involved in the sector. The 2016 report of the Authority indicates that over nine million passengers use the cross country public buses, with the special ones serving more than 6.5 million travellers.